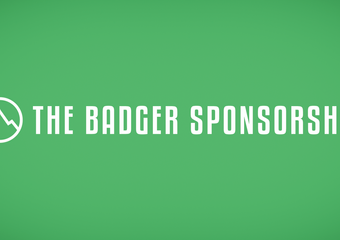 Nearly sixty video entries poured into the 2017 Badger Sponsorship. The Trek Committee painstakingly examined each and voted on their favorites until only a dozen remain. Before we unveil this year’s finalists, I want to offer a sincere congratulations to EVERYONE who entered. This year’s instructions put greater emphasis on creativity and effort, and the caliber of submission demonstrated that you heard our call. Some truly great videos did not make the cut- ranging from those that were funny, to heart-wrenching, to inspiring, and beyond. Do not let yourselves feel discouraged. The energy you put into your video- courage, vulnerability, resourcefulness, and heart- is the same that will take you the distance on the trail. 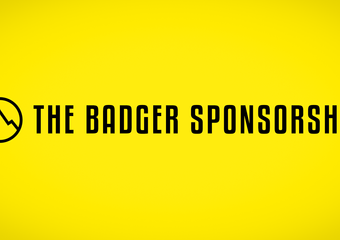 As a reminder, this year’s Badger Sponsorship winners are determined by a combination of a reader vote (50%) and our Expert Panel (also 50%). Voting ends at 10:00pm EST on Tuesday, January 24! The winner will be announced on Thursday, January 26th, right here on the The Trek. The 12 finalist videos are below, with the official voting form below that. If you’re having trouble viewing the poll below, you can vote here. Thank you to Wediges.com for being the world’s greatest polling platform! You can check ALL of the prizes here. LASTLY BUT NOT LEASTLY- A MASSIVE SHOUTOUT TO THIS YEAR’S VERY GENEROUS SPONSORS!!! Please visit their websites and follow all their social channels. They <3 Thru-Hikers very much. Where are the videos ? Parabens Jeff, torcendo por você!!!! Got it. Took 45 minutes. I’ve tried multiple times to vote, on multiple devices and have not received a confirmation email. Does this mean everyone’s votes are not being secured or counted? Hey Ashley- I’m being told that there’s just a delay with the confirmation emails going out right now. I’ve heard anywhere between 20 minutes and two hours. I presume the system is just backed up due to the influx of votes. In any case, each email address will be counted only once, so as long as you confirm before the deadline, your vote will count. Thanks! Hi Zach! I’ve had a lot of friends and family try to vote and they haven’t received any emails either. Some get emails right away and others not at all (even after more than 24 hours). Hey Dan- Weird. Is it possibly sitting in people’s spam folders? They’ve all checked there as well with no luck. There doesn’t seem to be a rhyme or reason. All different browsers/devices have worked and also not worked. All emails (@google, @yahoo, etc) have also both worked and not worked. Hmmm. Maybe have them search “Wedgies” in their inbox. I missed my original email because it didn’t make it through to the “Important” filter. Please let me know if that works. If not, have them try another email address- based on the feedback I’ve been getting, I believe the issue is resolved, so hopefully a new vote should work. Right now the addresses we’ve had issues with are two “charter.net” emails and a “comcast.net” email. I know others have reported issues but I haven’t heard more details from them. They’ve checked spam and searched and haven’t deleted anything. Other emails appear to have better luck (though some still take a day). For those emails mentioned above, the users don’t have another email to use. In the end I’m sure others are having similar issues so I don’t think it’s anything that would effect one finalist over another. Just wanted to make you aware. Voted. Waited overnight. Still no confirmation. Voted again. We’ll see….. I know it’s almost the deadline, but I have had multiple people not receive the confirmation email? Is there anything that can be done for all these missed votes? I’m so excited for Alex and Trisha! If you pause the video, the newspaper clipping shown on Jeff Santo’s video made it seem like he already competed the trail. Am I missing something from that newspaper article? You got it Kathy! 🙂 btw: Sept 7, the date I will complete the AT (with your help) is Independence Day in Brazil. First few times I tried to do this, it did not provide place to type email address. Hope this works now and that you will win! I am so proud of you Madi! BIRDIE AND POSSUM FOR THE WIN! Zach, am I missing something, as I still can’t see videos ? Zach, thanks for that, was using internet explorer. We hope you have great success!!!!!! You go girl!!!! I have 4 people that have not received confirmations 3 days later now, everyone has checked their spam as well. I have screenshots but can not send them through here. Thank you. I received 27% of the readers votes at the Badger Sponsorship 2017 from the Trek! It´s a lot: almost 1900 people voted for me. Thank you all for your support. I have no words to describe my feelings. I´ll not disappoint you: I´ll take the Brazilian flag all the way from Amicalola Falls to Mount Katahdin! Thank you Zach Davis and The Trek for the opportunity in taking part of this. Thank you all the sponsors (Big Agnes, Thermarest, Gossamer Gear, REI, Altra, Granite Gear, Pro Bar, Cliff, Bedrock, Sawyer, Wigwam, Good to Go) for believe in the thru-hiking culture. And thank you all the finalists for sharing your stories, in special Ethan Amerine. It was intense. A really good fight. See you on trail. Let´s wait for the final results… Happy hiking everyone. Eu recebi 27% dos votos dos leitores no Badger Sponsorship 2017 do The Trek. Isso é voto pra caramba: quase 1900 pessoas votaram em mim. Obrigado a todos pelo apoio. Não tenho palavras pra descrever o que estou sentindo. Não vou decepcionar vocês: vou levar a bandeira do Brasil pelos 3500 da trilha. Obrigado a Zach Davis e ao site The Trek pela oportunidade. Obrigado a todos os patrocinadores (Big Agnes, Thermarest, Gossamer Gear, REI, Altra, Granite Gear, Pro Bar, Cliff, Bedrock, Sawyer, Wigwam, Good to Go) por acreditarem na cultura da caminhada. E obrigado a todos os finalistas por compartilharem suas histórias, em especial a Ethan Amerine. Foi intenso. Uma briga realmente boa. Vejo vocês na trilha. Agora é esperar o resultado final. Boa caminhada a todos. I really dislike auto correct!